Remember back a few years when music games were all the rage? Guitar Hero and Rock Band dominated the charts, whoever cleared Through the Fire and Flames in expert level became a legend. Mobile was no exception, either, as a wide array of clones were available in the rudimentary Android Market/Play Store. Activision, as it often does, ruined the genre by saturating the market with Guitar Hero games, making them fall into obscurity. Good news, though. The few games that are still out there are actually pretty good, and one example of the genre’s potential is Tiles Hop: EDM Rush! 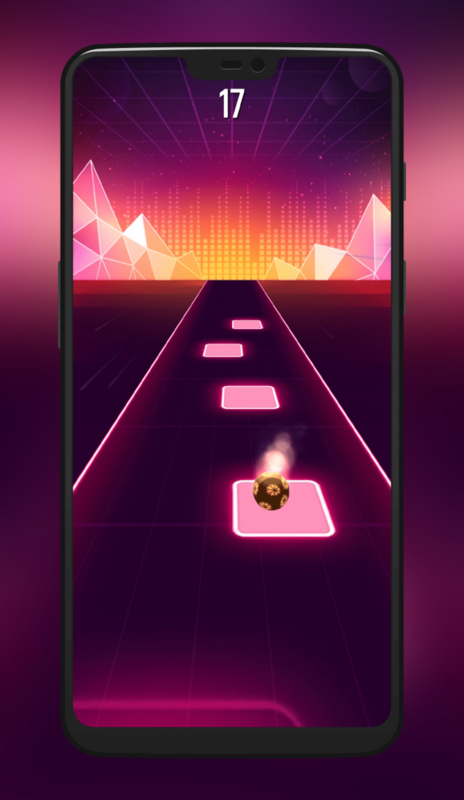 If you have played Guitar Hero/Rock Band, or even Tap Tap Revenge all those years ago, then you’ll feel right at home in Tiles Hop. You control a ball with your finger, and your job is to hop on colored tiles that appear in front of you. These tiles closely follow the music’s rhythm, so they go faster, slower, and change positions according to the intensity of the song. If you fail to land on a tile, it’s game over. 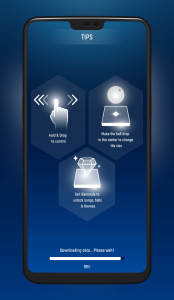 In order to play Tiles Hop, the only control you need is moving your finger around. To start the game, you press and hold. 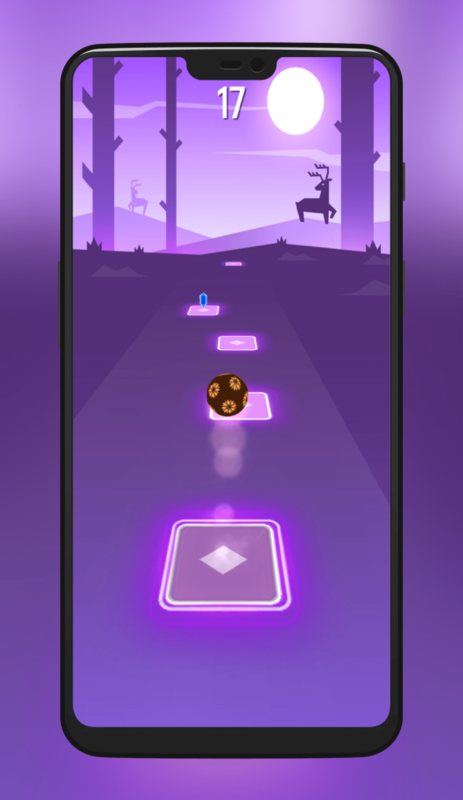 To move the ball around, you just swipe to the sides until you are sure that you will land on a tile. The actual movement of the ball is not 1:1 linked to your swipe, because that would be fairly annoying. There are a total of 34 songs in the game at the time of this review. These range from EDM to slightly rock-ish to pop songs. There’s even some Christmas songs included for the holidays. While there’s a decent amount of variety, they almost always have some small EDM elements added, so if you really dislike that kind of music, you’ll have a hard time here. Songs normally start easy enough, but they increase their speed as you progress through it. On your way to completion, you will collect stars (just like in Guitar Hero). Three stars means you have completed the song. 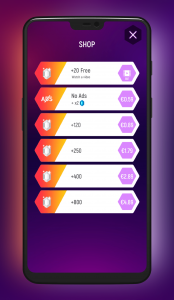 After you are done with it, the game enters into an endless mode, in which you don’t earn stars but keep earning points (one for each tile you clear). This endless mode is more fun than the normal mode because tiles start to move around instead of always keeping their position, which increases the difficulty dramatically. This, added to the already fast speed of the song at this point makes this mode challenging but very rewarding. It’s a nice way of breaking the monotony. Tiles Hop has managed to include an “import your song” functionality. It works exactly like you would expect: you select a song from your device (no streaming services like Spotify, though), and it imports it so that you can play it. I tried this with “Pressure” by Muse and found the functionality worked surprisingly well. The tiles’ frequency does not change according to the song, but it still does a good job in detecting the song’s BPM and adjusting the gameplay accordingly. It also makes the songs a bit faster as you progress, just like in the bundled songs. Since the tunes you have on your device are probably longer than the ones the games provide, playing them might become a little bit boring because of the lack of variation. Although the game can be played without paying a single cent, it could be a very frustrating experience. After each session, the game throws a full-screen ad at you. Also, in order to unlock some songs, you need to watch a full-screen ad without skip. Fortunately, the game includes an in-app purchase to remove ads for under a dollar. There is another obstacle between you and the game’s content, and that’s gems. They are given by the game as you progress on a song and when you complete them. These are used for unlocking new songs and skins. The game gives a decent amount of gems after each run, so it doesn’t feel like it is begging you to buy gems. In case you do want to speed up the process, there’s a store for that. The developers have chosen to go with a neon, colorful art style. It reminds me of something taken out of Tron: Legacy or Muse’s Simulation Theory artwork. Normally, a color is chosen by the app, and then all elements are either a shade of that color or black. It works perfectly, looks good, and performs superbly. As a nice touch, there are different backgrounds. The Christmas songs were particularly nice, setting an appropriate holiday tone. According to the developer, there are more than 20 different backgrounds. Being a music game, the music and sound need to be top-notch in order to be taken seriously. Fortunately for Tiles Hop, they are. The songs are of good quality, even though the songs have been either done for the game only, or can be used without paying licensing costs. As previously said, there are different genres here, so not all songs are EDM. Sound effects are also acceptable and they follow the same futuristic style as the graphical part of the game. Making a music game is always hard, with several things to keep in mind, such as good song quality, fluid graphics that don’t get in the way, and engaging gameplay. Tiles Hop ticks all check boxes and provides a free game with a lot of strong elements. The full-screen ads are annoying, but the developer has given a very inexpensive in-app purchase to remedy that. The original roster of 30+ songs might be a little bit short, but the importing tool works great, giving the potential for an infinite amount of songs to play with. 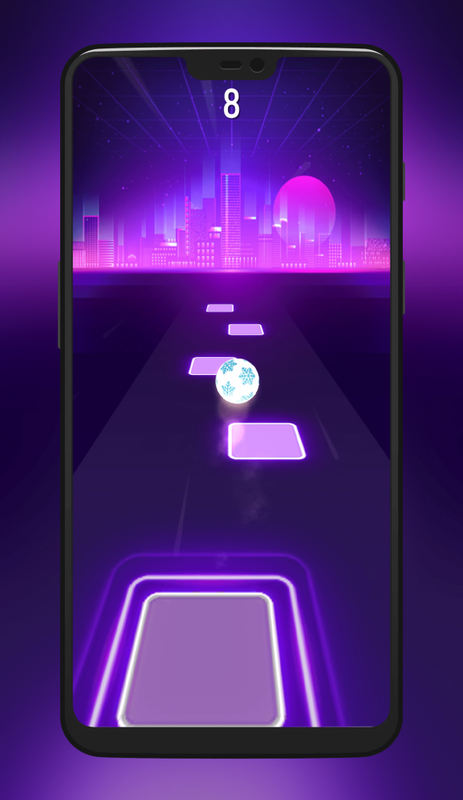 Download and install Tiles Hop: EDM Rush! from the Google Play Store.